You know that feeling of the word getting you down and just wanting to float away from it all? Well now that feeling has it's own movie and it includes, an old man, a young scout, a talking dog, a magic bird, like three more talking dogs, another old man but this one's an old time adventurer, and of course a house that flies via balloon. 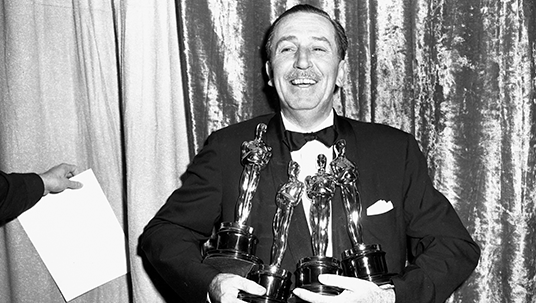 It's been a frequently cited bit of trivia that Walt Disney is the individual with the most Academy Awards in history with a grand total of 26. Of the 26, 22 of them were in competitive categories while the other four were honorary Oscars. And while that's a fun stat to rattle off, if you really take a moment to break down what this means, the results you come up with are interesting. For example, even if you discount the four honorary Oscars and want to say that Walt Disney only won 22 Academy Awards, that still double the number of statues that have been won by anyone else in history. In second place is Cedric Gibbons, a production designer who has won the award 11 times. Interestingly, Cedric Gibbons is actually the person who is responsible for the design of the Oscar itself, but Disney still won the award twice as many times. In fact, Walt Disney is not only the person to have won the most Oscars in total, he's also the person with the most consecutive wins, winning ten different Oscars over an eight year period from 1932-1939. He's also the person to be nominated the most with a staggering 59 nominations to his name, though second place, composer John Williams, has been slowly catching up over the past several years and currently sits at 51 nominations. So, how exactly did Mr. Disney get so many award, especially so many in such a short period of time? Well, the bulk of his 22 Oscar wins came from victories in the "Animated Short" category, or "Best Short Subject (Cartoon)" as it was known at the time. Starting in 1932, Walt Disney won the award for "Best Short Subject (Cartoon)" for Flowers and Trees (1932), The Three Little Pigs (1933), The Tortoise and the Hare (1935), Three Orphan Kittens (1936), The Country Cousin (1937), The Old Mill (1938), Ferdinand the Bull (1939), The Ugly Duckling (1940), Lend a Paw (1942), Der Fueher's Face (1943), Toot, Whistle Plunk and Boom (1954), and finally Winnie the Pooh and the Blustery Day (1969) which he was awarded posthumously. There was a bit of a joke in the late 2000s, and early 2010s that the "Best Animated Feature" was basically the Pixar award, as it was usually given to whatever movie Pixar had released that year, but can you imagine trying to be any other animator and seeing the grip that Walt Disney had on this category throughout most of the 30s? Keep in mind that in addition to all of these victories, Walt Disney also had several nominations he didn't win in the same categories in the same years because Disney was essentially competing against himself. For those keeping count, that's Walt Disney's 22 competitive wins, but what are the four "honorary" Oscars that bring the total up to 26? 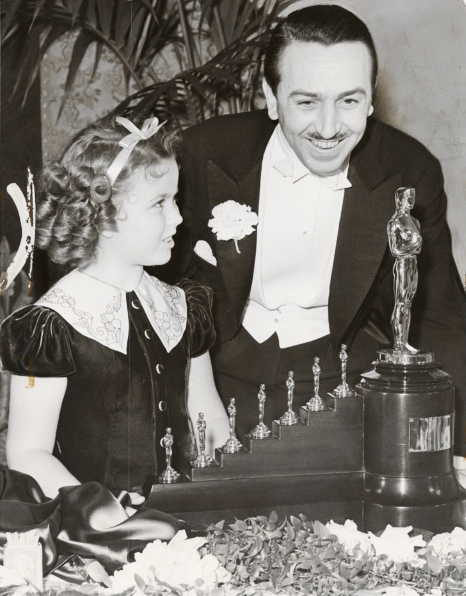 In 1932, at the 5th Academy Awards, Walt Disney was given an Honorary Academy Award for the creation of Mickey Mouse, then again in 1939, at the 11th, Academy Awards, he was given a second Honorary Award for Snow White and the Seven Dwarfs, as it was "recognized as a significant screen innovation." While Honorary Oscar winners are traditionally given Oscar statuettes like all of the other winners of the evening, for Disney's Snow White Oscar, he was given a traditional Oscar statuette, along with seven miniature Oscar statuettes. Finally, in 1942, Walt Disney would receive a third Honorary Oscar for "outstanding contribution to the advancement of the use of sound in motion pictures through the production of Fantasia" as well as the Irving G. Thalberg Memorial Award. This award in an honor given out by the Academy to "creative producers whose bodies of work reflect a consistently high quality of motion picture production" and is generally considered to count as an Honorary Oscar. It's one of the few awards that the Academy does not necessarily give out on a yearly basis, but only when it is deemed appropriate. 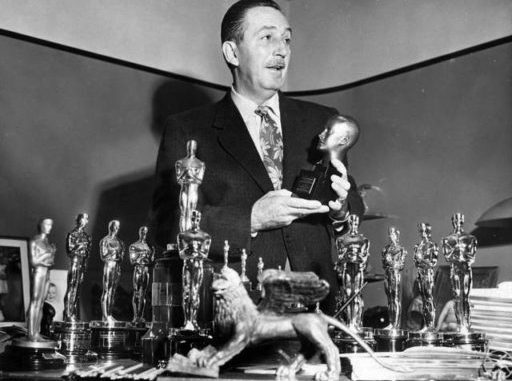 Walt Disney is one of only 39 people to have ever received this award, bringing his Oscar total up to 26. Once again, Pixar takes an idea that sounds bad (or at least incredibly bizarre) and turns into into a flat out masterpiece. This time in a post apocalyptic future where humanity has abandoned earth, one Robot that's obsessed with Hello Dolly falls in love and goes on an epic space adventure. Also there is pretty much no talking for the first half of the movie.